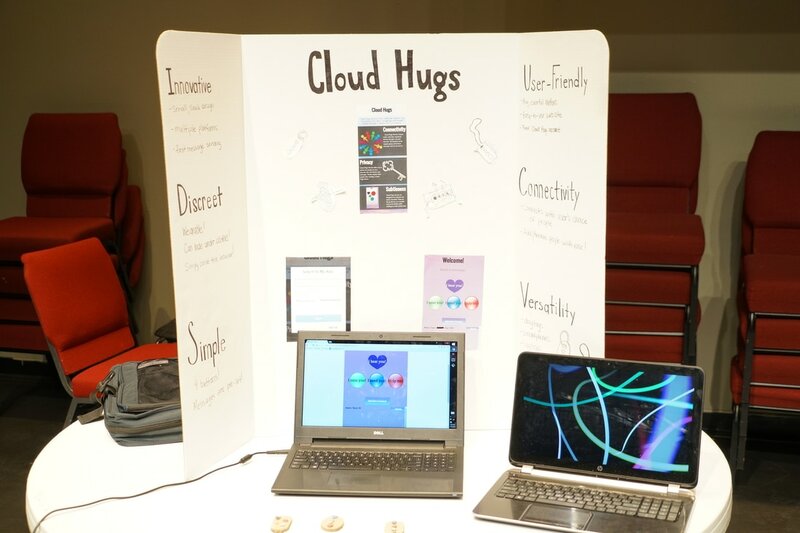 Cloud Hugs is a wearable device that is connected to both a mobile application and website to automatically send push notifications and text messages. Our device and service is mainly for people struggling with mental illnesses. With a simple push of one of Cloud Hug's three colour-coded buttons, an alert is sent to a designated emergency contact.